There is lots more to this fascinating story so Chef Paul Bartolotta of Bartollota Ristorante di Mare at Wynn Las Vegas continues with us. The concept of the elegant restaurant on two levels with outdoor poolside cabanas is serving the very best of Mediterranean seafood flown in fresh daily from Italy and simply prepared. Through a network of skilled buyers overseas Chef Paul imports a ton and one-half of fresh seafood each week. There is also a live program. Spiny lobsters from Sicily, in season, are in live tanks in the kitchen! The servers expertly debone the fish at tableside. It’s not unusual to see Paul on the floor touching tables and explaining his dishes. If you crave authentic regional Mexican cuisine then you’ll want to hear Jimmy Shaw, the founder of Loteria! Grill. How about an award-winning celebrity chef from Chicago who was enticed by Steve Wynn to pull up stakes and move his family to Las Vegas so he could helm Mr. Wynn’s signature Italian seafood restaurant? That’s a story…You’ll also meet the executive chef and owner behind the hottest restaurant opening in Hollywood last year. It’s even located in a totally renovated historical building built by Charlie Chaplin. He started modestly with a graphically-interesting stand in a great location at The Original Farmers Market at Third & Fairfax. The locals were wowed. Since then full-service restaurants in Hollywood, Studio City, Santa Monica and Westlake Village have been added. Any moment now Downtown Los Angeles will launch at FIGat7th. Next to Loteria! Downtown will be a new gourmet sandwich shop Jimmy is doing with his brother, Andrew. It’s the Torta Company. Chef Jimmy provides us with the rich history of the Mexican sandwich and what is correct as far as bread is concerned. The bread needs to be crunchy on the outside and pillowy soft inside. Torta Company will offer both traditional and contemporary sandwich variations. There will definitely be appealing vegetarian options, too, including a wild mushroom tinga. Look for pulled pork, batter-fried snapper in a Veracruz tomato sauce, and turkey in mole. Also on the menu will be Chef Jimmy’s clever spin on a tuna torta. Paul Bartolotta is one of the rarified, distinguished James Beard Award winning chefs who has an incredible destination restaurant at Wynn Las Vegas. His Bartollota Ristorante di Mare opened with the hotel back in 2005 and is one of the most successful fine dining restaurants at the property. It just underwent a multimillion dollar renovation because Steve Wynn thought it was time…Chef Paul observed that the facelift alone cost more than the opening cost of many restaurants! Paul was one of the most acclaimed chefs in Chicago (Spiaggia) when Mr. Wynn came calling. With his Bartolotta Restaurants firm he operates a number of busy restaurants in Milwaukee. Paul recounts the humorous story of Mr. Wynn’s charming pursuit of Paul to head the restaurant at Wynn Las Vegas. Understand at the time (2004) Paul was based in Chicago with his Family. One of Mr. Wynn’s requirements was that each of his celebrity chefs at Wynn Las Vegas actually reside in Las Vegas. There is lots more to this fascinating story so Chef Paul Bartolotta of Bartolotta Ristorante di Mare at Wynn Las Vegas continues with us. The concept of the elegant restaurant is serving the very best of Mediterranean seafood flown in fresh daily from Italy and simply prepared. There is also a live program. Spiny lobsters from Sicily, in season, are in live tanks in the kitchen! Our favorite debonair man about Orange County, Kedric Francis, is back with us for a dining report from his recent stay in Cancun. Kedric is the well-traveled Executive Editor of both Coast Magazine and The Orange County Register Magazine. There are six tempting dining options there so Kedric opted to never leave the property during his visit. Ni is the Peruvian restaurant. Kedric particularly enjoyed their ceviches. Indochine is an Asian-fusion spot. Recommended is the sushi and deep-fried Grouper. Of course they need to have a wonderful Mexican restaurant. That’s Ramona overlooking the beach. It’s modern versions of regional recipes using local produce and spices. The 16th Annual Los Angeles Times Travel show returns to the West Hall of the L.A. Convention Center on January 18 & 19. Los Angeles Times Staff Writer, Jessica Gelt, is with us to preview her activities at the show. Gelt has written extensively about food, nightlife, entertainment and travel for The Times. She sometimes combines a few different beats within one entertaining story. She is moderating two sessions of the same panel, “On the Road : Traveling for Music & Festivals” both days at Noon on the LA Times Stage. One of the most eagerly awaited restaurant openings of 2013 was Republique in Hollywood located on the site of the former trendsetting Campanile which opened in 1989. The architecturally significant building goes back to 1929 when it was constructed as Charlie Chaplin’s offices. The project is owned by the husband and wife chef team of Walter Manzke and Margarita Manzke along with restaurant impresario Bill Chait. Chef Walter is well-know to L.A. foodies from his time at Patina, Bastide and Church and State. Chef Walter joins us to talk about the first month of operation. The cuisine is contemporary French with an oyster bar up front. Chef Walter’s particular pride is what comes out of the wood burning oven and rotisserie. Recently opened is the bakery café for breakfast, brunch and lunch on the go. The restaurant is still not fully open. It’s expanding service in stages. Troy Johnson, the Food Critic of San Diego Magazine, represents the enthusiastic new breed of youthful restaurant journalists with a point-of-view. In addition to his reviews in San Diego Magazine, Troy also writes about restaurant comings and goings in San Diego County. Update on the benefit at The Church Key on Sunday, December 8th to aid the unfortunate victims of Typhoon Haiyan in the Philippines. The evening raised $10,000 which will get into the proper hands to support the relief effort. This event came together very quickly so kudos to all involved! 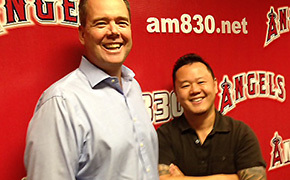 Thanks for all the supportive words about “What’s Cooking with Travis and Chef Jet Tila” heard just after 7:50 a.m. on Friday morning on AM 830 KLAA as part of “The Travis Rodgers Show.” Travis is taking a well-earned Holiday break. The segment will return just after 7:50 a.m. on Friday, January 4th. The previous features are all available for your listening pleasure within the “Media” area of the “SoCal Restaurant Show” Website. Chef Jet and Producer Andy preview the show. This week we’re sending the well-deserved love to our listeners in San Diego. Troy Johnson, the Restaurant Editor of San Diego Magazine is with us to share what’s new in San Diego. We’ll also talk with “Top Chef” alum Brian Malarkey of Enlightened Hospitality. He’s bringing one of his successful San Diego restaurant concepts to the Sunset Strip. Troy Johnson, the Food Editor of San Diego Magazine, represents the new breed of youthful restaurant journalists with a point-of-view. It’s, fortunately, not an elitist approach and Troy aims to make restaurant-going accessible for all. Celebrity Chef Brian Malarkey (of Bravo’s “Top Chef” & ABC’s “The Taste”,) a multiple concept restaurant operator in San Diego, is bringing his Herringbone concept to The Mondrian Hotel on The Sunset Strip in West Hollywood in early 2014. Troy talks about Chef Brian’s history in San Diego and what his establishments are all about. The original Herringbone is in La Jolla. The Headquarters, a new development in Downtown San Diego with destination restaurants is creating a lot of attention. Nancy Silverton’s Pizzeria Mozza from Hollywood is one on the anchor tenants there already attracting lots of buzz. It’s the former Police Department Headquarters and there is even an original cell preserved for visitors to see. After a long run (opened in 1968) as a high-end destination restaurant of celebration El Bizcocho at the Rancho Bernardo Inn has been reborn as the more contemporary Avant. San Diego star chef Gavin Kaysen was an alum of El Bizcocho. He’s now overseeing all the Café Bouluds for Daniel Boulud in New York! Troy notes that the Hatch Design Group worked on a $2.5 million budget to create the new space. “The mercy killing of El Bizcocho clears the way for a new era at Avant” is the title of Troy’s recent review in San Diego Magazine. If you think Tunisian fare is the same as the foods of Morocco then you perhaps need a refresher course. No eating with the fingers or belly dancers here. It’s actually more Mediterranean and North African fare. Alain Cohen of Got Kosher Café & Bakery located in Los Angeles Borscht Belt on Pico Blvd. joins us to give a quick education. Don’t let the “Kosher” part or the name scare you. The Jews were in Tunisia before Muhammad or the rise of Islam. The tasty Merguez sausage with harissa appetizer is house-made. One of Got Kosher’s specialties is “Shwar-guez.” It’s their take on schwarma. It’s ground beef seasoned with their merguez sausage spices and grilled on a schwarma pit. Tunisian Couscous is also a popular specialty. The versions are Couscous au Poulet, Couscous Masson (with braised beef and beef meatballs,) Couscous Royal ( with chicken, beef, lamb brochettes and merguez,) and Vegetarian Couscous. It’s Christmas / New Year’s Holiday vacation time and that means a lot of getaways to Maui. We have a mouth-watering Lahaina dining report from an informed, recent visitor. Aaron Fry just returned from his glorious honeymoon in Maui. Aaron is a master bartender as well as a senior Board Operator right here at AM 830 KLAA. We’re turning the microphone around on him this morning. Aaron and his new bride enjoyed a couple of visits to Fleetwood’s on Front Street in the heart of Old Lahaina. The second level of the 10,000 square foot establishment affords an incredible ocean view and there is live music nightly. The principal is Mick Fleetwood, the well-know rock drummer. When he’s not touring he spends most of his time on Maui. Although it’s a casual setting they are equally serious about their food. The chef advisor is Scott Leibfried (who you’ll remember as one of the two sous chefs for Gordon Ramsay on Fox’s “Hell’s Kitchen.”) Chef Scott continues with the project. Look for “Today’s Local Fish” and the 10 oz. Grilled Filet with Big Island Hamakua Mushrooms as standout dishes. Aaron is a craft beer aficionado so also on his Maui menu was a stop at the celebrated brewpub of the Maui Brewing Co. This is the most successful craft brewery in The Islands and quite a story. Their only “problem” is that they can’t keep up with demand on The Mainland. They can their most popular styles and they are available in California. One of their signature brews is their award-winning CoCoNut PorTeR. The brewpub features some seasonal styles only available on Maui. The food is seriously good, too, and a big attraction for locals. They even make their own salad dressings. You can’t go wrong with their pizzas or the Kalua Pork Sliders. 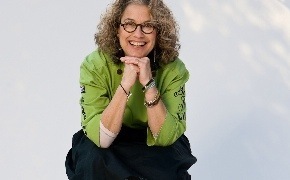 Chef Susan Feniger of Border Grill and Food Network’s “Too Hot Tamales” fame is back with us to talk about the revamping of Susan Feniger’s Street in Hollywood. It’s been refurbished as the Mud Hen Tavern. The concept is more of a comfortable neighborhood bar and restaurant where regulars can come and hang out more than one time per week. As with Street the Executive Chef and Partner is Kajsa Alger. Some of Street’s classic favorites remain on the menu including Kaya Toast. A rotating collection of sixteen craft beers is available on tap. Susan enthusiastically recommends the Hangover Burger with a fried egg and bacon and the decadent Cinnamon Roll Bread Pudding for dessert. Also there are plenty of offerings for the vegetarian-inclined. You know Chef Brian Malarkey from “Top Chef: Season 3, Miami” on Bravo and Season 1 of ABC’s “The Taste.” In real life he’s also a highly successful restaurateur in San Diego (and Scottsdale and Austin) with major financial backing. In a bold move he’s bringing an expanded Herringbone (La Jolla) to The Mondrian on the fabled Sunset Strip in January. After a major gut-rehab it’s replacing the pricey Asia de Cuba at this hip & happening boutique luxury hotel. The panoramic 180 degree view from the restaurant toward the coast, now improved, is pretty spectacular. He’s responsible for all foodservice at The Hotel including in-room dining and functions. The food is Herringbone’s own “Fish Meats Field” cuisine. A favorite is Pork Belly with wood roasted sunchokes, manila clams, and calvados and green apple jus. Executive Chef Brian Mararkey of Enlightened Hospitality Group encores for a second segment. His growing collection of restaurants, with a San Diego base, includes Searsucker, Herringbone (La Jolla and January opening in West Hollywood,) Gabardine, and Green Acre. Chef Brian has cooked in Los Angeles previously. Very early in his professional career he was in the kitchen at Michel Richard’s Citrus. Chef Brian very honestly explains how he paid his dues during his 20s and 30s before becoming the executive chef at The Oceanaire Seafood Room in San Diego. That eventually led to his casting on Bravo’s “Top Chef.” He’s surprised that so many young people graduating from culinary schools think they can just walk into being celebrities on food TV without a proper foundation. Fifi has been writing about restaurants for the Orange County Business Journal since 1990. Before that she was the very first restaurant journalist for the monthly Orange Coast. Her background is as a serious home cook and cooking instructor. Fifi is recognized as the youthful grand dame of Orange County restaurant writers and has the sense of humor to back that up. As a fun project she is the publisher of Chao’s Dinesty, a private subscription restaurant, wine and travel newsletter. Related to this she hosts special evenings (with her husband Patrick, a retired veteran of the hospitality business) at local restaurants of note. It’s a great way to sample a restaurant you might have heard of but not actually been to. Fifi’s dining group gets the very best a restaurant can offer in terms of food and service. They are both consummate hosts who treat their guests like family. One of her favorite Chao’s Dinesty evenings of this year thus far was at Three Seventy Common Kitchen + Drink in Laguna Beach. The owner/chef there is Ryan Adams.